Designed for courses where the goal is to understand how IT delivers organizational value, this text can be used in IT Strategy and IT Management courses at the undergraduate and graduate levels. 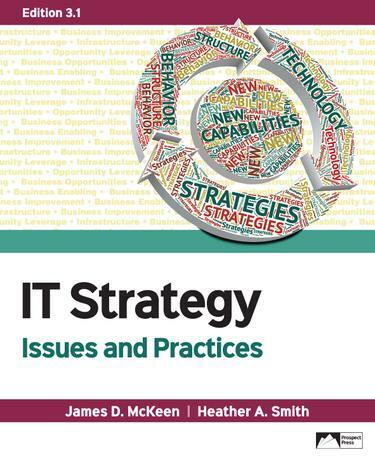 The text combines the experiences and insights of many senior IT managers from leading-edge organizations with thorough academic research to bring important issues in IT management to life and demonstrate how IT strategy is put into action in contemporary businesses. Edition 3.1 is a new lower-priced edition with three new chapters on contemporary issues. Otherwise, it is identical to the third edition formerly published by Pearson. The three new chapters are: Chapter 3: Developing and Evolving a Digital Strategy, Chapter 11: Creating a Data Strategy, and Chapter 13: Developing a Cloud Strategy.